In this paper a general introduction to basic concepts for the geometric description of Euclidean “Flat-Space” Geometry and Non-Euclidean “Curved-Space” Geometry, and Spherically Symmetric Metric equations which are used for describing the causality and motion of the “Gravitational” interaction between mass with vacuum energy space, and the mass interaction with mass. This paper gives a conceptual and mathematical description of the differential geometry, of flat and curved space, space-time, or gravitational fields, using the “metric theory” mathematics of Euclidean, Minkowski, Einstein, and Schwarzschild, Spherically Symmetric metrics, and geodesic line elements. This paper postulates a “Vacuum Energy Perfect Fluid” model and a “Dark Matter Force and Pressure” associated with the Non-Euclidean Spherically Symmetric metric equations, and also gives a conceptual and mathematical description and rationale, for selecting the Schwarzschild Metric over the Einstein Metric, as a physical description of the gradient gravitational, field surrounding a localized net inertial mass/matter source. This paper also gives a new generalized mathematical formalism for describing “Non-Euclidean” Spherically Symmetric Metrics, of space, space-time, or the gravitational field, using a generalized “Metric “Curvature” Coefficient”. This work is written to physicists that are interested in understanding from a conceptual view, the rationale for selecting “Flat Geometry” Euclidean Space, or selecting a “Curved Geometry” Non-Euclidean Space; as causality for gravity, and motion of the “Gravitational” interaction between mass with vacuum energy space, and the mass interaction with mass. In this paper, I do weave some of my own theory, ideas, and mathematics into these well established physics concepts and mathematics; therefore, this work is written for those that have a very good basis and understanding, of the concepts of differential geometry, and General Relativity; to be able to distinguish what is newly proposed, and what is being discussed in general throughout this paper. Likewise this work is written to physicists that are interested in understanding why a Schwarzschild Spherically Symmetric Metric ( ), is preferred over the Einstein Spherically Symmetric Metric ( ); which is based on a particular choice of “pressure” and “density” in the universe, and on the surface of the Black Hole Event Horizon, source of a localized gradient gravitational field. A “Spherically Symmetric Metric” ( ) is used for describing the “flat” or “curved” Differential Geometry of Space, Time, & Surfaces, of spherically symmetric space, space-time, or gravitational field, in the presence or absence of condensed matter. In this work I have limited the discussion only to the: Euclidean, Minkowski, Einstein, and Schwarzschild Spherically Symmetric Metrics of space, space-time, or the gravitational field, however there are many other geometric “metric” equations, and theories of gravitation, that are accepted by the mainstream physics. And there are many “Spherically Symmetric Metrics” that are in use in physics today. In a paper written by M.S.R. Delgaty and Kayll Lake (1998) “Physical Acceptability of Isolated, Static, Spherically Symmetric, Perfect Fluid Solutions of Einstein’s Equations”, they describe various “Spherically Symmetric Metrics” ( ) equations. And likewise in a paper by, Petarpa Boonserm, Matt Visser, and Silke Weinfurtner (2005) “Generating perfect fluid spheres in general relativity” , they describe that there are over 127 solutions to the “Spherically Symmetric Metrics”. But only nine (9) of those “metric” equations satisfy the criteria for predicting actual physical measurable results. The various “Spherically Symmetric Metric” ( ), equations which are either Euclidean or Non-Euclidean, describes physical and observable results of gravitational interaction between mass and space, and between mass and mass, predicts that the vacuum energy, and inertial matter in motion interact, through a space, space-time, or gravitational field, that is either flat or curved, and surrounding a localized gravity source, that is either matter dependent, or matter independent, is described in the following sections of this paper. My goal is to bring into correlation, the concepts of “Gravitational Force” of the Newtonian style, and the concepts of Non-Euclidean geometric “curvature of space-time” as described by the mathematical differential geometry of the “Spherically Symmetric Metric” ( ) of space, space-time, or a gravitational field, and due to the presence or absence of mass or matter as the source of a gradient gravitational field, in a localized region of the universe. Also I will introduce a new generalized mathematical formalism for describing the “Spherically Symmetric Metric” ( ), by expression of a term known as the “Metric “Curvature” Coefficient” ( ). The “Metric “Curvature” Coefficient” ( ) is term and quantity, used for describing the “amount of curvature” due to motion through a perfect fluid vacuum energy, and the presence or absence of mass or matter as the source of a gradient gravitational field, in a localized region of the universe. The Non-Euclidean “Spherically Symmetric Metric” ( ) which describes the actual physical geometry of space, space-time or a gravitational field, is used to describe space where there is condensed matter, mass, and energy; as will be described in following section of this paper. The goal of this section is to describe an algorithm for describing a general “Spherically Symmetric Metric”, which can predict Euclidean and Non-Euclidean Metrics, in a “flat” or “curved” space, space-time, or gravitational field. For any surface, embedded in a Euclidean space of three (3) dimensions or higher, it is possible to measure: the length of a curve ( ) on the surface, the angle ( ) between any two curves on the surface, and the area ( ) of a region on the surface. This concept is extended into greater than three dimensions with Bernhard Riemann Geometry (1826 – 1866). This surface embedded (mapping one surface to another surface) structure to any space, space-time, or gravitational field, is encoded infinitesimally in a generalized spherically symmetric metric, on the surface, through geodesic line elements ( ) and area elements ( ). Carl Friedrich Gauss (1777 – 1855) in his “Theorema Egregium” , which is Latin for “remarkable theorem”, states that Gaussian curvature of a surface can be determined from the measurements of length ( ) on the surface itself. This “extraordinary” result shows that the Gaussian curvature of a surface can be computed solely in terms of a “Metric” ( ), and is thus an intrinsic invariant of the surface. The Gaussian curvature is invariant under isometric deformations of the surface. Gaussian curvature can be used to describe the position, location, or a change in position or location, of any object on a surface in space. The “remarkable” result predicted by Gauss, is that the curvature does not depend on its surface embedding, and in spite of all bending and twisting deformations, undergone during rotations; a surface can be determined from the measurements of length ( ) on the surface itself, which is described by a Metric ( ). The Gaussian curvature of a surface is independent of any embedding (mapping one surface to another surface) and is unchanged under coordinate transformations. 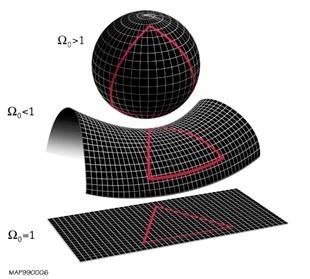 In general the isometrics of all surfaces preserve Gaussian curvature, during bending, twisting, deformations, and rotations; which is described by a Metric ( ). In Riemannian geometry, Gauss’s lemma predicts that any small sphere centered at a point in any surface or Riemannian manifold, is perpendicular to every geodesic through the point. The geodesic is describes by a Metric ( ) with line element ( ) on the surface of a space, space-time, or gravitational field; that is either a “flat space” geometry or “curved space” geometry. Getting a good understanding for what a metric describes is crucial for describing the space and time considerations of Special Relativity (SR) and General Relativity (GR). In (SR) and (GR) the concept of the “Metric” ( ), is used to describe a line element ( ) on the surface of a space, space-time, or gravitational field; that is either a “flat space” geometry or “curved space” geometry. A “Euclidean” Metric ( ), in Newtonian Gravitation (NG), describes a gravitational field as a “flat space”, and may be thought of as a concept where mass attracts mass, from across the vastness of empty “flat space”. A “Non-Euclidean” Metric ( ), in General Relativity (GR) may be thought of as a generalization of the gravitational field, in a “curved space or space-time”. The curvature is a form of “attraction” and is a result of the presence of the mass bodies in interaction; with a similar analogy to the Newtonian gravitation attraction concept. The Metric ( ) captures all the geometric and causal structure of space, space-time or a gravitational field, which are used to define notions such as distance, volume, curvature, angle, future and past. This introduces a conceptual difference between the straight lines of the Euclidean geometry, and the curves of Non-Euclidean geometry, which physically bend in space. This “bending” property of space is not a property of the “Euclidean” or “Pseudo-Euclidean” lines elements and mathematics; but is only described by the “Non-Euclidean” lines elements and mathematics. Thus Euclidean geometry describes straight lines in flat space geometry, and Non-Euclidean describes hyperbolic geometry and elliptic geometry in curved space geometry. · In Euclidean “flat” geometry the lines in a space, space-time or gravitational field remain in a “flat space” at a constant distance from each other, even if extended into infinity, and are known as parallels. The Euclidean “flat” geometry is independent of any condensed “mass” or “energy” in that “flat space”. In Non-Euclidean “open” hyperbolic geometry the lines in a space, space-time or gravitational field “curve away” from each other, increasing in distance as one moves further from the points of intersection with the common perpendicular. The Non-Euclidean “open” hyperbolic geometry is “curvature” that is dependent of the condensed “mass” or “energy” in that “curved space”. · In Non-Euclidean “Closed” elliptical geometry the lines in a space, space-time or gravitational field ” curve toward” from each other, decreasing in distance as one moves towards the points of intersection. The Non-Euclidean “Closed” elliptical geometry is “curvature” that is dependent of the condensed “mass” or “energy” in that “curved space”. The “Spherically Symmetric Metric” ( ) which describes the actual physical geometry of space, space-time or a gravitational field, can be used to describe space where there is condensed matter, mass, and energy. In the differential geometry of theoretical physics, the Minkowski space is often contrasted with Euclidean space because they are both considered “flat space” geometry for space, space-time, or the gravitational field. In the differential geometry of theoretical physics, the Euclidean space describes the “ordinary” triangle distance given by the Pythagorean calculation, on a flat space, and describes the physical space, between two points that one would measure with a ruler, and using the Pythagorean formula. The Euclidean space has only space-like dimensions, and a Minkowski space has the space-like dimensions and one time-like dimension. On an orthonormal basis the Euclidean Space is a four-dimensional real vector space with signature (+, +, +), (x, y, z). The Euclidean Metric ( ) is a Spherically Symmetric Metric that describes the differential geometry of “Flat” space/space-time; and is defined as the “net sum” of a square differential radial ( ) component, and the “invariant” or “co-variant” square differential surface component ( ), of a “Flat” space/space-time. The Euclidean Metric ( ) is independent of the mass or energy present in a localized space, space-time, or gravitational field. with signature (+, +, +), (x, y, z). 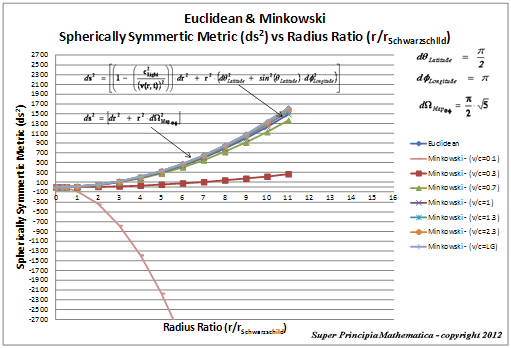 The Minkowski Metric ( ) is a Spherically Symmetric Metric that is considered “Pseudo-Euclidean”. The Minkowski Metric ( ) describes the differential geometry of a “Flat” space-time; and is “net difference” between the square differential radial ( ) “flat” space-time component, and the “light cone” “space-time square differential surface component ( ), of a “Flat” space-time. The Minkowski Metric ( ) is independent of the mass or energy present in a localized space, space-time, or gravitational field. On an orthonormal basis the Minkowski Space is also a four-dimensional Cartesian vector space with signature (−, +, +, +), (-t, x, y, z). The Euclidean space has three ordinary dimensions of space, that are combined with a single dimension of “time” that is “space-like”; to form a four-dimensional manifold for representing a flat space-time. In Euclidean space, two vectors are said to be orthogonal in a flat space. But Minkowski space differs by including hyperbolic-orthogonal actions in that flat space. Hermann Minkowski (1864 – 1909) in his work “The Fundamental Equations for Electromagnetic Processes in Moving Bodies” , describes space-time has having three ordinary dimensions of space, that are combined with a single dimension of “time” that is “time-like”; to form a four-dimensional manifold for representing a space-time. The Minkowski space is then considered a pseudo-Euclidean space, where the orthonormal rotation is also a representation of a hyperbolic rotation. 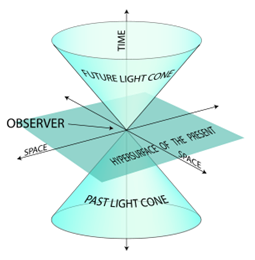 The Euclidean and Minkowski space, points in space, correspond to events in space-time; and events not on the light-cone are classified by their relation to the apex, of the space, as space-like or time-like. Both the Euclidean and Minkowski space describe physical systems, over finite distances of a “flat space” geometry for space, space-time, or the gravitational field. Likewise, both the Euclidean and Minkowski space are typically applied to the weak Newtonian gravitational fields, and in the absence of, or independent of a large mass, which is a source of the gravity field. When the Euclidean or Minkowski space, is being applied to strong gravitational fields, this is still considered “flat space”. The Euclidean or Minkowski space, is a condition of space, space-time, or the gravitational field where mass and the vacuum of space do not interact. In a region of weak gravity fields, the Minkowski or Euclidean space space-time in that region becomes “flat” not just locally to the source, but is flat extended out to great distances very far away from the weak gravity source. For this reason Euclidean and Minkowski space is often referred to as “flat” space or “flat” space-time. The Euclidean and Minkowski space is “flat” in the presence of mass and weak gravity fields, and in that same region the space-time is described by a curved 4-dimensional manifold for which the tangent space to any point is a 4-dimensional Minkowski space. The Pseudo-Euclidean Spherically Symmetric Metrics, predicts that there is a “Speed of Space or Space-time” ( ), and a Speed of Light ( ) constant. Although the Euclidean and Minkowski space describes “flat space” it is still a good description for describing the “curvature” of space, space-time, gravitational fields, and gravity forces. Thus the structure of Euclidean and Minkowski space is still valid in the general description of gravitational fields given by General Relativity (GR). In Einstein’s  mathematical description of curvature of space-time of General Relativity Theory, the terms “metric” and “square of a line element” are used interchangeably. The “Metric Coefficient” terms ( ), can take on values of one (1) to four (4). The value of one (1) represents “space”, the value of (2) represents “latitude direction space”, the value of three (3) represents “longitude direction space”, and the value of four (4) represents “time”. According to the above “metric” equation, the “line element” describes information about the causal structure of the space-time. The “metric” or “squared line element” is “time-like” when the Minkowski/Einstein Metric ( ). The “metric” or “squared line element” is “light-like” when the Minkowski/Einstein Metric ( ). 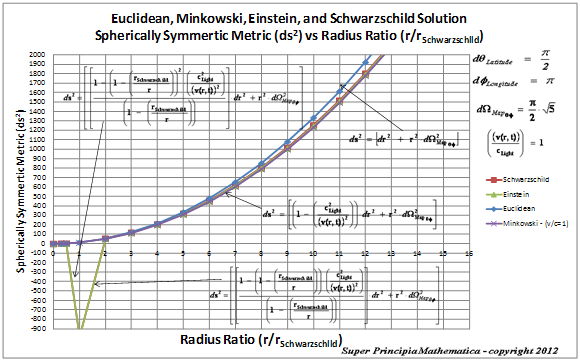 The “metric” or “squared line element” is “space-like” when the Minkowski/Einstein Metric ( ). In the case where there is a significant gravitational field present, and in the presence of a large mass, the space-time becomes curved or warped, in the local vicinity of the condensed matter, mass or energy. Likewise, in the case where there is a significant gravitational field present, you have to abandon the “flat space” Euclidean and Minkowski, space of Special Relativity (SR), in favor of the “curved space” Einstein, Schwarzschild, and Riemannian, space of General Relativity (GR). Thus in general there are the “flat space” metrics of Euclid and Minkowski, and the “curved space” “Non-Euclidean” metrics of Einstein and Schwarzschild. The figure below describes a Euclidean Metric ( ), and various Spherically Symmetric Minkowski Metrics ( ); at various “speed of space (Vacuum Energy Velocity)” versus “speed of light” ratios ( ). The larger the “speed of space” to the “speed of light” ratio ( ), the more closely the Minkowski space-time follows exactly the Euclidean space-time! Next, will be presented a graph that shows the Euclidean Metric, in contrast with the Minkowski/Einstein Metrics at different values of ( ). The Euclidean and the Minkowski “Metrics” ( ) and geodesic “line elements” ( ), are “mass independent” equations that describe the causality of “flat” space, space-time, or the gravitational field. The graph of the Euclidean and Minkowski Metrics ( ), showing the radial integration limits, which extend from the center of the gradient gravitational field ( ), and into infinite distances ( ), is given in this classical form below. It this section, it will be described a “new” generalized mathematical formalism for the Schwarzschild and Einstein “Non-Euclidean” Spherically Symmetric Metrics ( ). A “Non-Euclidean” Spherically Symmetric Metric ( ) is used to describe the causality of “gravity” or curvature of space, space-time, or gravitational field, in the presence of condensed matter, mass, and energy. The above equation is an analogue of the classical Newtonian theory of gravitation, which corresponds to the gravitational field around a matter source; and in the classical Gauss theory of electricity, which corresponds to the electric field around a charge source. In Newtonian ( ), “Euclidean Flat Space” Gravitation Theory, the gravitational field, and the attraction between bodies, of differing masses, causes the smaller mass body to orbit the larger mass body; and the smaller mass, has a greater acceleration towards the center of the gradient gravitational field system body. In Schwarzschild Metric ( ) “Non-Euclidean Curved Space” Gravitation Theory, it similarly describes the gravitational field, and the attraction between bodies of differing mass, is caused by the curving or warping of space, space-time, or a gradient gravitational field, by the net inertial mass ( ), of the gravitation system, “carved” out by the inertial mass ( ) of the system. The curvature and gradient gravitational field described by the Schwarzschild Metric ( ), and warping of space caused by the net inertial mass ( ) of the system, and this “forces” the smaller mass body to orbit the gradient gravitational field following a geodesic, in the curved space, space-time, or the gradient gravitational field. The curvature described by the Schwarzschild Metric ( ), also predicts that the closer a test mass body is towards the center of the gradient gravitational field, the greater the “acceleration” the test mass ( ) experiences towards the center, of the system. The Schwarzschild Metric ( ) is a mathematical equation which describes a “geodesic” world “line element” ( ), with spherically symmetric curvature of space-time, in the “presence” of matter or the Net ( ) Mass, of a localized gradient gravitational field; whose space-time extends from the surface of the Black Hole radius ( ) and into infinite ( ) distances of that localized space-time gravity field. The Schwarzschild Metric ( ) predicts that the curvature of space surrounding a “Black Hole” gravity source is equivalent to an Inhomogeneous Gradient Gravitational Field which also obeys the three (3) laws of motion of Keplerian Mechanics, of the gradient gravity field. The gradient gravitational field, described by the Schwarzschild ( ) Metric is comprised of an infinite series of “spherical shell potentials”, that originate at the “Black Hole Event Horizon” spherical volume, and extends into infinite distances, relative to the “Black Hole” source, and center of the gradient gravitational field. This model of the gradient gravity field is also a vortex system. In general, each and every one of the concentric spherical shells, or energy potentials of the “inhomogeneous” gradient gravitational field, of the gravitational vortex, is a “homogeneous” gravitational field. The Schwarzschild Metric ( ), has a Black Hole Event Horizon, at the center of the gravitational field, with a fixed volume ( ) and Schwarzschild Semi-Major Radius ( ) of the inhomogeneous gradient gravitational field. The Schwarzschild Metric ( ) predicts that the source of the inhomogeneous gradient gravitational field is given by Net inertial Mass ( ), and is directly proportional to the “Black Hole” Schwarzschild Semi-Major Radius ( ), and likewise is directly proportional to a localized infinite series, of extended inhomogeneous gradient gravitational field accelerations ( ), relative to the center of the Black Hole Event Horizon. The exterior solution of the Schwarzschild Metric ( ), and exterior condition describes the curved physical space of the inhomogeneous gradient gravitational field, which extends, from the surface of the Black Hole Schwarzschild radius ( ), and extends away from the source, into infinite ( ) distances of space, space-time or the gravity field. 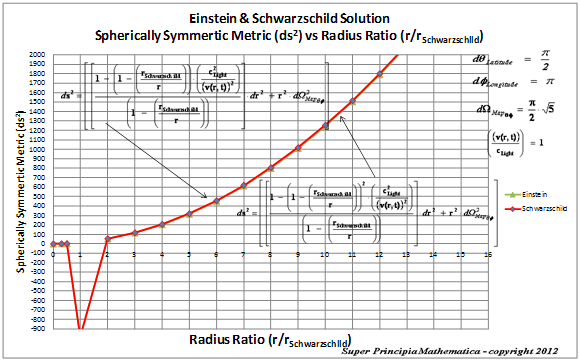 The Schwarzschild Metric ( ) solution comes in two (2) forms, one is an “exterior solution” gradient gravitational field solution, and the other is an “interior solution” gravitational field solution. The Exterior solution corresponds to the space outside of the Black Hole Event Horizon, and Schwarzschild Semi-Major Radius ( ). The Interior solution corresponds to the space within or inside the Black Hole Event Horizon, and Schwarzschild Semi-Major Radius ( ). 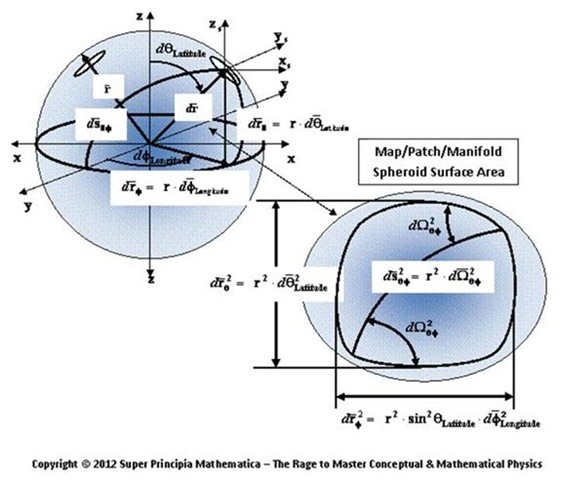 The Schwarzschild and Einstein “Metrics” ( ) and geodesic “line elements” ( ), are “mass dependent” equations that describe the causality of “curved” space, space-time, or the gravitational field. The Schwarzschild Metric ( ) is described below. In all of the “modern literature” written on General Relativity, the Schwarzschild Metric ( ) yields predictable results in the “exterior solution” gravity field region; which extend from the Black Hole Event Horizon of the gradient gravitational field ( ), and into infinite distances ( ), is given in this classical form below. And there is a second “Coordinate Singularity” located at the Black Hole Event Horizon, Schwarzschild Radius ( ) – ( ). Because the Schwarzschild Metric ( ) predicts the “Physical Singularity” located at zero radius ( ), and the “Coordinate Singularity” located at the Black Hole Event Horizon, Schwarzschild Radius ( ), of the gradient gravitational field, this has caused the mainstream physics community to reject the Schwarzschild Metric ( ), in favor of: Kruskal–Szekeres coordinates, Eddington–Finkelstein coordinates, and Rindler coordinate; and which neither have a “Coordinate Singularity”. 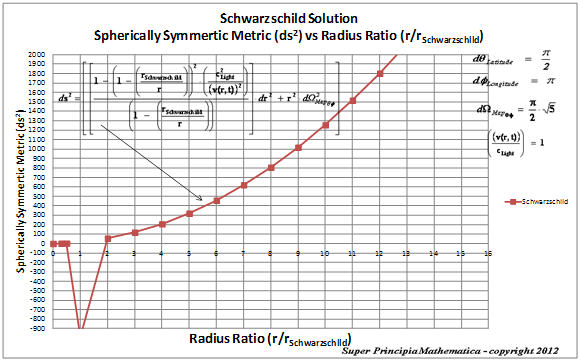 Below is a graph of the Schwarzschild Metric ( ). The Schwarzschild Metric ( ) predicts the “Physical Singularity” located at zero radius, is a value that approaches zero, as the radius approaches zero. The “Physical Singularity” is a natural artifact for any Non-Euclidean metric. The “Coordinate Singularity” is not a natural artifact for any Non-Euclidean metric. My goal is to find a solution to the “Coordinate Singularity” located at the Black Hole Event Horizon, Schwarzschild Radius ( ), of the Schwarzschild Metric ( ). The Schwarzschild “Non-Euclidean” Metric ( ) describes a “dynamic” differential geometry metric, and a line element, that describes the curvature of space, space-time, and the gravitational field; and must be used in conjunction, with a fluid mechanical model, Perfect Fluid “Dynamic” Vacuum Energy Solution for the causality gravitation. The “Schwarzschild Metric” Spherically Symmetric gradient gravitational field vortex system body, describes a dynamic “Refraction/Condensing Pressure” ( ), which changes in direct proportion to one third, the Inertial Volume Mass Density ( ), of the gradient gravitational vortex system body. The “Schwarzschild” Spherically Symmetric Metric ( ) corresponds to a gradient gravitational vortex system, where the, “Refraction/Condensing Pressure” ( ) on the exterior surface, of the Black Hole Event Horizon, is zero; ( ). Therefore I believe that the Schwarzschild Solution is the correct solution where the, “Refraction/Condensing Pressure” ( ) on the exterior surface, of the Black Hole Event Horizon, is zero; ( ); and is non-zero everywhere else. The Perfect Fluid “Dynamic” Vacuum Energy Solution above satisfies the Schwarzschild Spherically Symmetric Metric ( ) and “line element” ( ); which is a “mass dependent” equation that describes the causality of “curved” space, space-time, or the gravitational field. The Schwarzschild Metric ( ) is described below. 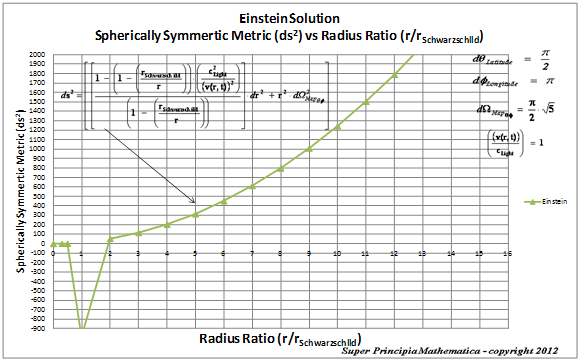 Next, we will discuss the Albert Einstein, Spherically Symmetric ( ) Metric. The Einstein Metric ( ) is given by the Static Vacuum Energy Solution and condition. The Einstein “Non-Euclidean” Metric ( ) describes a “static” geometry and a line element, that describes the curvature of space, space-time, and the gravitational field; and must be used in conjunction, with a fluid mechanical model, Perfect Fluid “Static” Vacuum Energy Solution for the causality gravitation. The Einsteinsolution, predicts that the Isotropic Aether Gravitational Field Pressure ( ) varies in direct proportional to one third the Inertial Volume Mass Density ( ) of the gradient gravity field; and varies inversely proportional to the cube of the distance ( ), relative to the center of the gradient gravitational field of a vortex system body. In the Einstein Metric ( ) Static Vacuum Energy Solution the gradient “Rarefaction Pressure” ( ), is inhomogeneous and distributed in a normalized density gradient, of an infinite series of spherically symmetric shells, of potential energy; including on the surface of the Black Hole Event Horizon. The “Einstein” Spherically Symmetric Metric ( ) corresponds to a gradient gravitational vortex system, where the, “Refraction/Condensing Pressure” ( ) on the exterior surface, of the Black Hole Event Horizon, is non zero; ( ). The fluid mechanical model, Perfect Fluid “Static” Vacuum Energy Solution describes a condition where there is inhomogeneous gradient “Inertial Volume Mass Density” ( ), equal to a “static” fixed value, at the Black Hole Event Horizon. In the Static Vacuum Energy Solution this condition is described by the Spherically Symmetric, mathematics of the Einstein Metric ( ). The Einstein Metric ( ) solution comes in two (2) forms, one is an “exterior solution” gradient gravitational field solution, and the other is an “interior solution” gravitational field solution. The Einstein Metric ( ) must also fit the new mathematical formalism, when using the space-time relations, for the speed of light, and the speed of space; given below. The Einstein Metric ( ) must also fit must also fit the new mathematical formalism, when the “Speed of Space (Vacuum Energy Velocity)” is equal to the “Speed of Light”; and using the space-time relation ( ). The Einstein Metric ( ) yields predictable results in the “exterior solution” gravity field region; which extend from the Black Hole Event Horizon of the gradient gravitational field ( ), and into infinite distances ( ), is given in this classical form below. Because the Einstein Metric ( ) predicts a “Physical Singularity” located at zero radius ( ), and a “Coordinate Singularity” located at the Black Hole Event Horizon, Schwarzschild Radius ( ), of the gradient gravitational field, this has caused the mainstream physics community to reject the Einstein Metric ( ), in favor of: Kruskal–Szekeres coordinates, Eddington–Finkelstein coordinates, and Rindler coordinate; and which neither have a “Coordinate Singularity”. Below is a graph of the Einstein Metric ( ). The Einstein Metric ( ) predicts the “Physical Singularity” located at zero radius, is a value that approaches zero, as the radius approaches zero. The “Physical Singularity” is a natural artifact for any Non-Euclidean metric. This work was written to physicists that are interested in understanding from a conceptual view, the rationale for selecting “Flat Geometry” Euclidean Space, or selecting a “Curved Geometry” Non-Euclidean Space; and whether to choose the Einstein Metric or the Schwarzschild Metric, as description for causality of gravity, or general motion in a gravitational field. This paper described the conceptual and mathematical description of the differential geometry, of flat and curved space, space-time, or gravitational fields, using the “metric theory” mathematics of Euclidean, Minkowski, Einstein, and Schwarzschild, Spherically Symmetric metrics, and geodesic line elements. This paper also gives a new generalized mathematical formalism for describing “Non-Euclidean” Spherically Symmetric Metrics, of space, space-time, or the gravitational field, using a generalized “Metric “Curvature” ( ) Coefficient”. It was demonstrated that the Non-Euclidean Spherically Symmetric Metric ( ) equations predicts that there is a “Physical Singularity” located at zero radius ( ), and a “Coordinate Singularity” located at the Black Hole Event Horizon, Schwarzschild Radius ( ), of the gradient gravitational field, in consideration. The “Physical Singularity” is the approaching of an infinity small number as “space and time” approaches zero in the center, of gradient gravitational field of any isolated and localized, gravitational vortex system body, and is a natural artifact of a Non-Euclidean space, space-time, or gravitational field. The “Coordinate Singularity” is a “problem”, and is the approaching of an infinity large number as “space and time” approaches the Black Hole Event Horizon, Schwarzschild Radius ( ), of the gradient gravitational field, of any isolated and localized, gravitational vortex system body. The “Coordinate Singularity” is an anomaly, in the mathematics of a particular choice of Non-Euclidean Spherically Symmetric Metric ( ) equation, used to describe the localized space, space-time, or gravitational field, in consideration. In another paper I will present a solution to this “Coordinate Singularity” problem! The Schwarzschild and the Einstein “Non-Euclidean” Metrics ( ) as discussed in this paper, describes the causality and geometry, of the curvature of space, space-time, and the gravitational field, and is used in conjunction, with a fluid mechanical model, Perfect Fluid “Static or Dynamic” Vacuum Energy Solution for the causality gravitation. In the next paper, I will discuss the specifics of the “Vacuum Energy Perfect Fluid” model and a “Dark Matter Force and Pressure” associated with the Non-Euclidean Spherically Symmetric metric equations. Robert Louis Kemp. “Super Principia Mathematica – The Rage To Master Conceptual & Mathematical Physics – The General Theory of Relativity.” ISBN 978-0-9841518-2-0, Flying Car Publishing Company, July 2010, pp. 20-21. This entry was posted in The General Theory of Relativity and tagged Aether Gravitational Force, Black Hole Event Horizon, Condensation of matter, Coordinate Singularity, Cosmology, Dark Energy Gravitation, Dark Matter, Einstein Field Equation, Einstein Metric, Euclidean Geometry, General Relativity, Gravitation, Gravitational Field, Gravitqational Pressure, Minkowski Metric, Non-Euclidean Geometry, Perfect Fluid, Physical Singularity, Rarefaction, Schwarzschild Metric, Self Gravitational Force, Space-time, Spacetime Metric, Special Relativity, Spherically Symmetric Metric. Bookmark the permalink.